If you're like me, you're not exactly "Little Miss Sunshine" in the morning. Enjoy your morning coffee with this little anti-pick-me-up, and get your crappy thoughts out of the way for the day. 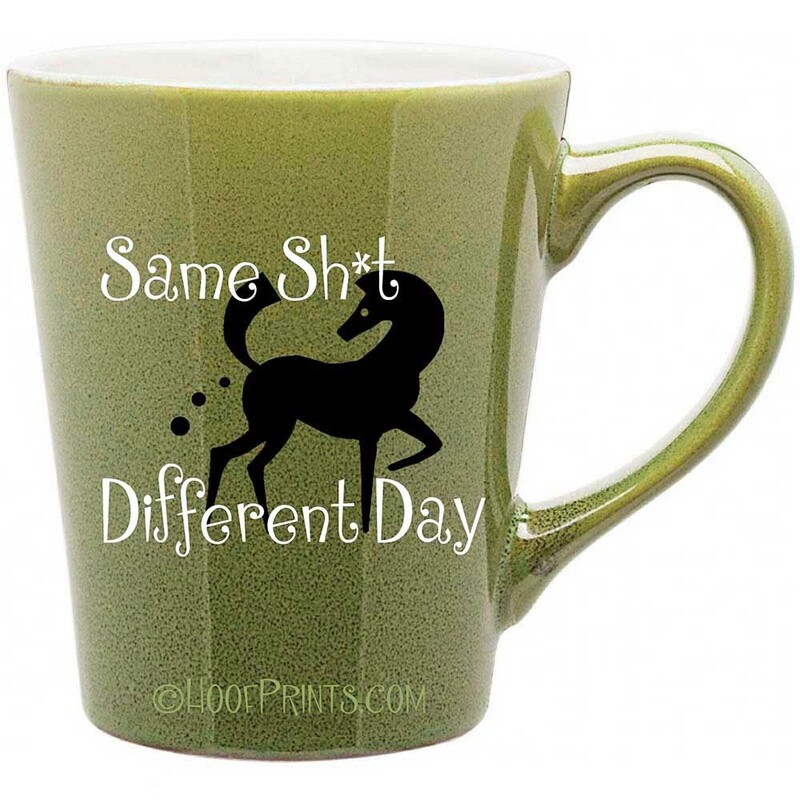 Actually, if the worst thing that happens is the same horse manure as the day before, then we've all got it made! This mug holds 12 ounces. We've had rave reviews about how nice it is. The handle is thick and substantial so you can get a good grip - on your coffee and your day. Enjoy!